ECK Haubold & Laxmi’s sleeves are centrifugally cast, guaranteeing perfect quality due to exceptionally high revolving speed (2000rpm) utilized in the casting process. This high speed “spin casting” ensures the expulsion of all air bubbles & impurities from the cover. 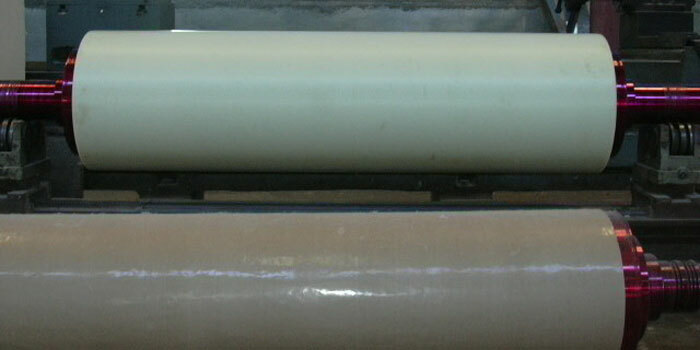 The natural atmospheric cooling of the cast polymer in the molding process ensures the maximum reaction time; allowing longer molecules to form on latest computer controlled equipment not extruded which is old technology. Extruded is subject to use internal stresses leading to shot molecules and distortion of sleeves after certain time say 4-5 years. The optimized molecules length gives sleeve roll cover its excellent elasticity & mark recovery with minimum shape distortion. 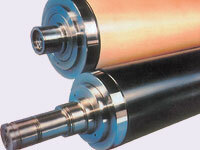 This results in excellent runability in the calendar & maximum service life. Internal stresses are minimized as it is produced at temperature below the melting point of the polymer. 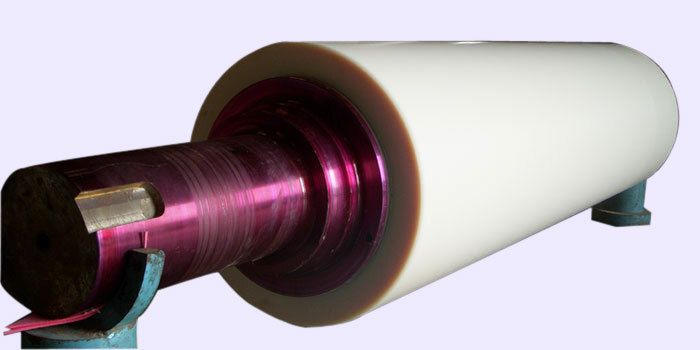 Polyamide sleeve are finally annealed the ultrasonically checked, guaranteeing optimum quality & performance. Higher thickness of sleeve compare to the available sleeve in the world. 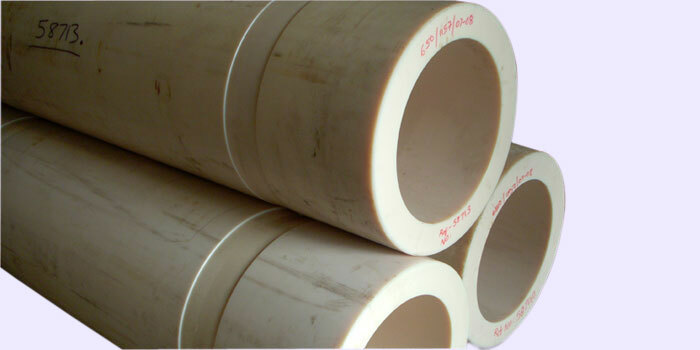 Spun casting construction is the advance manufacturing process adapted to casting the sleeve. 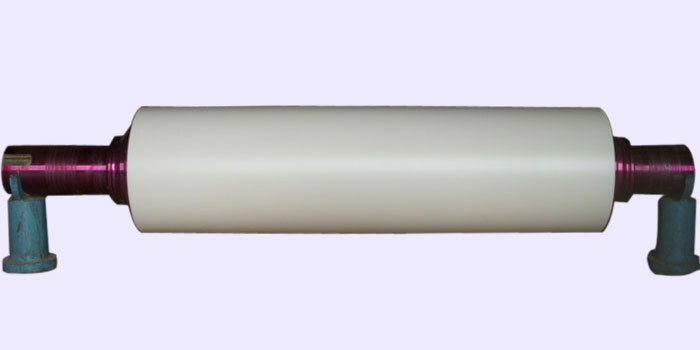 Proper, specific and best quality material used for casting the sleeve. Maximum linear pressure 350kg/cm =1955lb/inch. 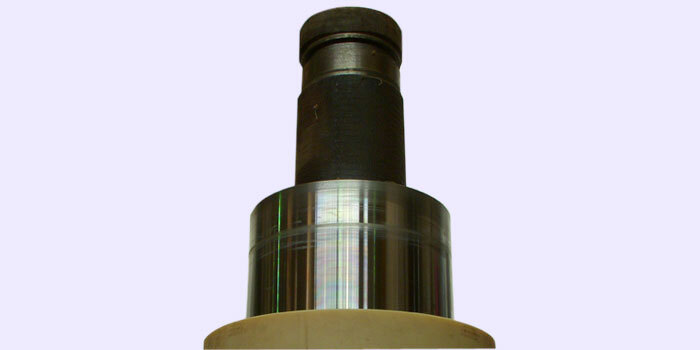 Manufactured on solid ultrasonic tested one piece shaft. 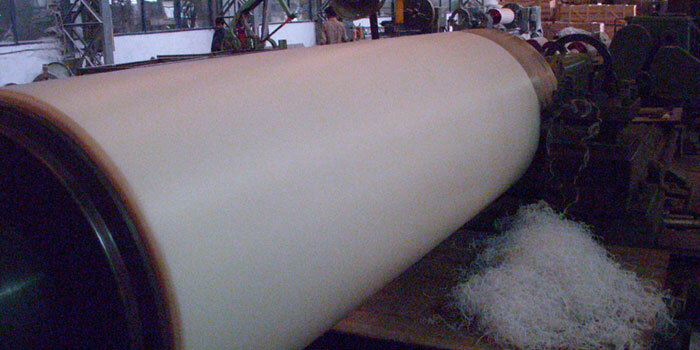 Surface finish of the Roll is done with high grade and imported tool, & especially designed Micro Film Polish paper for the polyamide surface finish only. Dimension accuracy is maintained as per set standard by our German principal.